Of course, we live in the 21st century and so now we have a lot more options available for materials! Although I have linked a lot of books and materials here they are by no means necessary. If pen and paper is your thing I don’t knock it all. This is merely a list of items that I have personally bought, used and found useful. As I am a bibliophile/technophile, this list will reflect my own interests, but I will leave comments open (website default of six months) for anyone who wants to tell me about anything I have missed. Please feel free to do so, as it will improve the page for everyone. If you haven’t already written anything yet, or are at the very early stages of becoming a writer, you really should read this book. The exercises are actually useful and will help you decide if being a writer really is for you. Ms Brande has a cheerful, no nonsense style, that makes a truly refreshing change. Assuming you definitely are going to be a writer, you really need a good dictionary and The Oxford English Dictionary is the definitive standard for British English. Of course if you want to write in American English then perhaps Merriam Webster would be a better choice. Another piece of gold is Strunk and White’s guide. This little book has been guiding writers for decades. Despite it small size the amount of information packed in its pages is quite impressive. The author’s advice is to “use as few words as possible” and they certainly adhere to this. It is probably the simplest and most straightforward guide to English usage and grammar you will find. When it comes to choosing a thesaurus it is far harder to make a recommendation. Use of words is a personal choice. Probably the best idea would be to go to a real-world bookstore and flick through a few. I personally use either an online thesaurus, such as Chambers (which is also an online dictionary), or Microsoft Word’s inbuilt thesaurus, or even a real old-timer’s physical book. My Thesaurus of choice is also by Chambers as I found the Roget and Oxford versions too “stiff”. 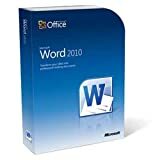 If you are a student in the UK then Microsoft Word, or indeed the whole of the office suite of programs, can be bought very reasonably. Please remember that you do need to be a student on a recognised program of education in the United Kingdom to take advantage of this unusually low price. Open Office is a Microsoft compatible program. It is also free to use. This is a full suite of office type programs. Open Office is a free download but can be a bit slow and clunky in use. If you are looking to write on a budget this must be worth a look though. Another industry “standard”. This is the directory of almost anything a writer could be interested in when trying to sell their work. Beware though that a very small number of details such as editors names may be incorrect – always check first with a phone call. The volume also carries a number quality articles on writing, finding an agent, writing proposal letters etc. As I tend to write short science fiction this list is going to possess a bias in that direction. If you write in another area, or feel you can help add to this list with a quality recommendation, please contact me via the comments list at the bottom of the page. Best wishes and may you have every success in your writing career.